State Cup Soccer Weekend! 1/27/2014 | Travis the Warrior --- Kickin' Cancer! What an exciting weekend of soccer at State Cup! 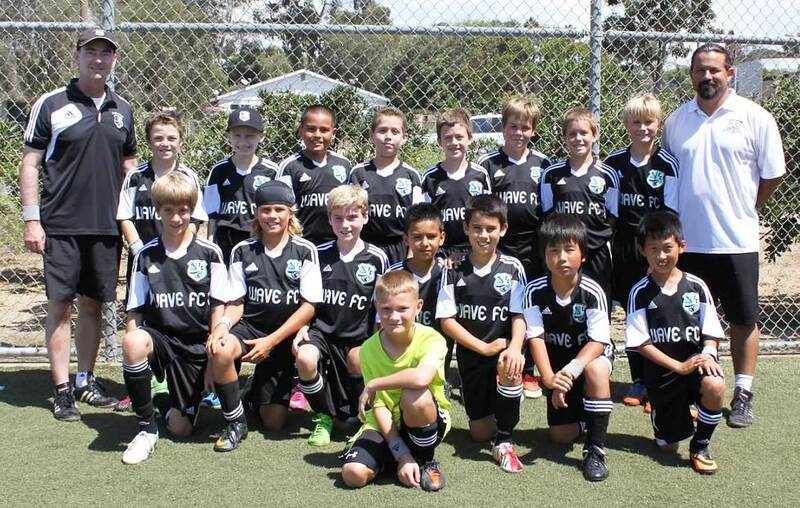 After a disappointing 1-0 loss on Saturday against the TVSA Hawks, we weren’t sure how the boys would bounce back. The important thing was that we played some good soccer even though we couldn’t get the goals to go and had 1 bad break that we did not clear. But the boys came out crisp and sharp Sunday morning firing on all cylinders. After being up 4-0 at half against Desert Elite, we changed things up and let the guys play in some different positions. Even though we gave up 3 goals and scored 2 more in the second half, it was a good learning experience and we had 6 different players score our 6 goals in the game. Then the boys were asking if Travis could go in the game during the last couple of minutes so we had to scramble to find him some shin-guards and soccer socks. All of the boys were volunteering to let Travis use their gear. Everyone cheered when he entered the game, even the other team which was a great show of sportsmanship. It was very emotional for all of us and a perfect way to end the game! Once we knew we were going to advance to the Round of 64 next weekend, we relaxed a little and went right after TFA Barcelona on Sunday afternoon. They were a very good team but our boys played their hearts out. TFA Barcelona is one of those teams who only lost two games in their regular season and scored 81 goals while only allowing 9. So, once we got that first goal and then second goal and then third before half, we knew we could not let up. They did score 1 goal before half and were threatening a lot of the time. In the second half, we packed in the defense to keep them out and we ended up scoring 1 more goal to seal things off. We knew the top 3 teams in our bracket were very competitive so when we made it home from Lancaster on Sunday night, we were surprised to see we had secured the top spot. It goes to show that every time you take the field in soccer, you never know what can happen. Good stuff and we are looking forward to the Round of 64 (yes, back in Lancaster)! BTW, here is what made this weekend’s experience so emotional. It was the State Cup weekend last year up in Lancaster when Travis’ early symptoms really started to get bad. Over the previous couple of months, he had been having some occasional dizziness and nausea that the doctors were trying to figure out. These early symptoms seemed to come and go but he would always bounce right back until that weekend. We made it up to Lancaster on Friday night but when we arrived for the game on Saturday, he was feeling too sick to play. He spent the rest of the day in the hotel and missed both games on Sunday too. Luckily our team made it out of the bracket and to the Round of 64 in Coronado which ended up being the last game he played in with the team. A few weeks after that and right after tryouts, Travis was diagnosed with a Brain Tumor in early March and had surgery the next day to remove it. The good thing was that the doctors caught it early and the surgery was very successful. The bad part was they determined it was Brain Cancer which meant follow-up Radiation and Chemotherapy were needed. About a month after his brain surgery, we went to MD Anderson Cancer Center in Houston, TX for two months to have his proton radiation treatment done. We returned home to Carlsbad over Memorial Day weekend and he was given 6 weeks off before starting his Chemotherapy treatment. We started his 6 months of chemotherapy over the 4th of July weekend at Rady Children’s Hospital and finished the week before Christmas. Through this whole last year Travis continued to battle and whenever he was feeling up to it, he insisted on being out with his team whether for practices, games, or tournaments and the boys love having him around. Even though it has been a difficult and challenging year, Travis’ two main goals that kept him going have been to get back to school with his friends and to play soccer with his team. 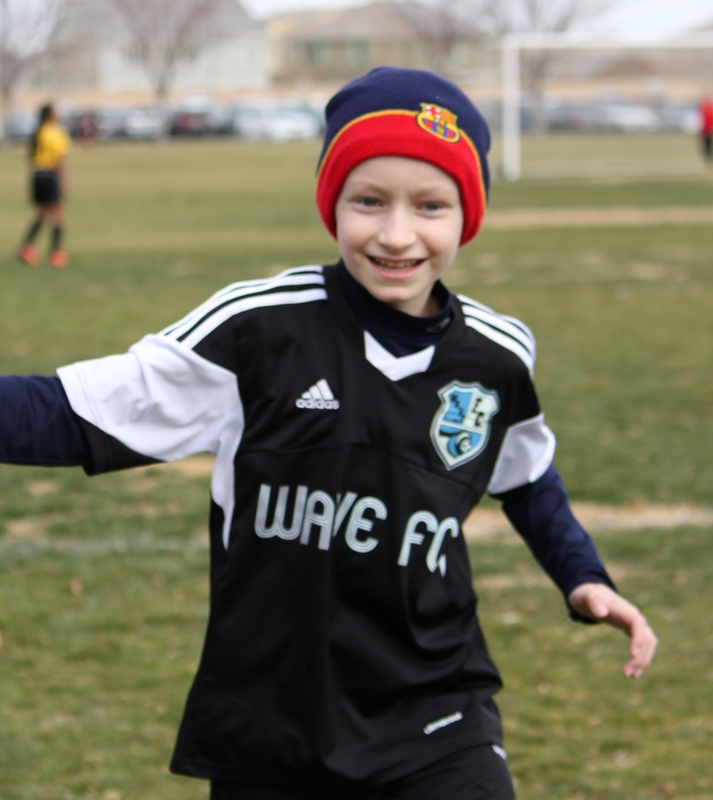 We know he has a ways to go and a lot of hard work to gain his strength back but he was beaming after the game when he said “I got to play in the State Cup with my team.” Travis is a Warrior! Talked to Karen earlier and she said Lynne has a story to tell you and have a tissue handy. Well, I didn’t have any tissue, so I grabbed about 8 squares of toilet paper and called Lynne. Karen was right, I needed it. You guys really had an exciting weekend. So happy Travis was able to get in the game. WOW and what a reception. Ok Travis, now on to BIGGER, BETTER, STRONGER, FASTER and before you know it you’ll be right back in the game with all your friends. Choclate chip bagles as far as the eye can see. ❤❤❤ that smile on his face!!! !